Laser Photonics Corporation’s 3D FUSION™ Printers are able to use a wide range of materials including stainless steel, cobalt-chromium, titanium and aluminum with continued focus in expanding the range of metal powder types. Our powder for direct metal printing includes very fine metal powders with grain sizes from 5 to 100 mkm. These powders include titanium and titanium alloys, stainless steels, Inconel, tool steels, non-ferrous alloys, precious metals and aluminum. Our 3D laser metal systems and powders are used for chemically pure, fully dense, fine feature detail AM in aerospace, automotive, and healthcare applications. Inconel used in tool and weapons manufacturing. Super alloys are commonly used in parts of gas turbine engines that are subject to high temperatures and require high strength, high temperature creep resistance, phase stability, oxidation and corrosion resistance. Non-ferrous metals include aluminum and titanium. Precious metals such as gold, silver, platinum, and exotic or rare metals such as cobalt, mercury, or tungsten can also be processed. One of the critical factors in our metal powder formulation is to correctly address the issues that impact oxide content and relative % of content in metal balls of different sizes. 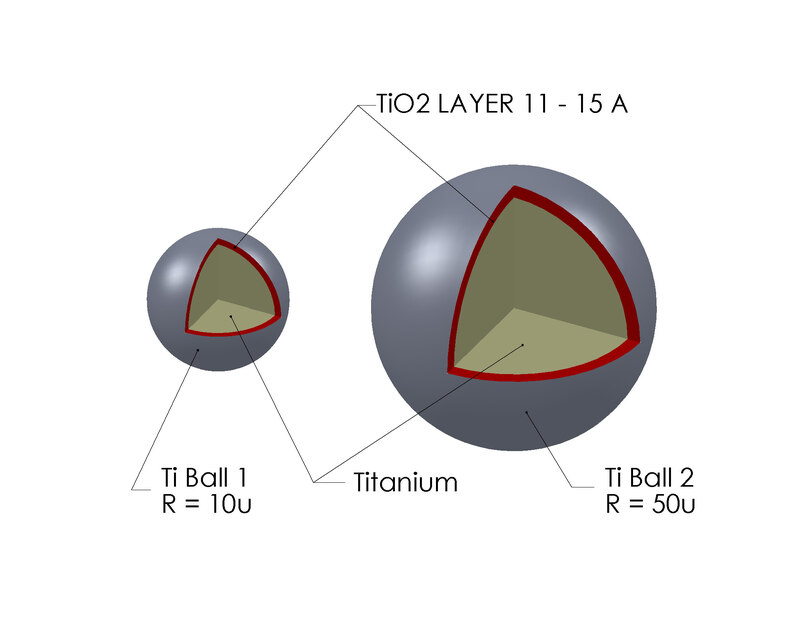 For example with the same thickness of TiO2 or AlO2 (usually 11 A°-15A°) for 10mkm and 50mkm metal balls in diameter, percentage of oxide content can vary more than 10 times (typically is a function of R3 where R is the radius of the metal ball). This means that for 10 and 50mkm radius metal balls, differences in oxide contends can be as large as 1000 times. It is virtually impossible to predict and control the quality of a 3D build parts with unpredictable change in material structure. BTS™ Technology solves this issue naturally. For Laser Photonics FUSION™ systems that do not incorporate BTS™, specifying the optimum diameter sphere further reduces the oxide content. A proprietary formula that differentiates Laser Photonics metal powders compared to alternate suppliers.